The heat is on, well summer is here and it is time to relook at your wardrobe and ensure that your clothes make you feel light, breezy and cool. Naturally summer fashion is a huge trend in itself and we look at what is making waves this season. As we embrace the blazing summer season, we all need a set of breathable and comfortable outfits in our wardrobes. Then whether they are for men, women or kids, the fashion realm has a trend for all. Summer-staple fabrics like Cotton, Muslin, Chanderi Silk, Georgette, Kota Doria and Linen dipped in pastel colors like beige, mint, aqua, fuchsia, off-white are the main stay of the season. Hand blocks and quirky patterns of flowers, bootis, jharokas, figurines, objects, animals, fruits, and more are being shaped into modern silhouettes. Saggar Mehra, Creative Director, Sunil Mehra avers, “blends like linen and silk, lighter and easier fabrics to breathe, cuts should be sharp edgy and lean and add contemporary and sports couture in everyday routine.” Deepa Reddy, Founder The Open Trunk adds, “in fabric, chiffons are always a big hit for its lightweight, its pastel shades and floral prints which ticks so many boxes of the summer look. 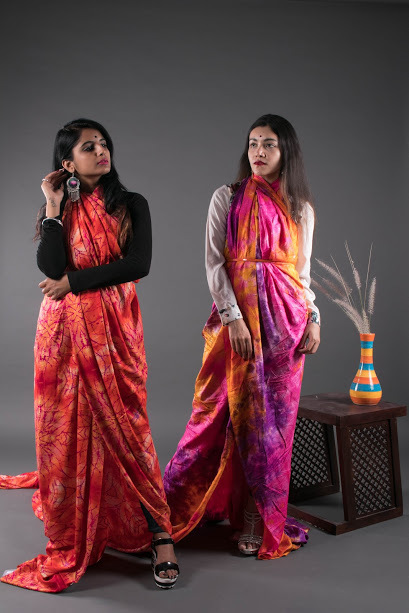 Going by what was showcased at the Lakme Fashion Week, we expect to see a lot of Lucknowi lines be it dresses, kurtas, dupattas or sarees, from cotton to Chiffon and silk.” You can opt rayon, khadi, sustainable which is ruling the summer weather. “Sleeker cut, deep V-neck, off shoulder are cuts one prefer to have in their wardrobe. Pant-Jacket, crop top-saree, flowy gowns are the style making pieces this summer. Materials like organza, flat chiffon, rich satin also can work,” says Nishit Gupta, Director, Kalki. Dresses in the traditional Maheshwari cottons, matched Coimbatore cotton silks with Chinese collars are great. “The Tangail fabrics from Bengal become beautiful cape tops matched with ikkat pants. 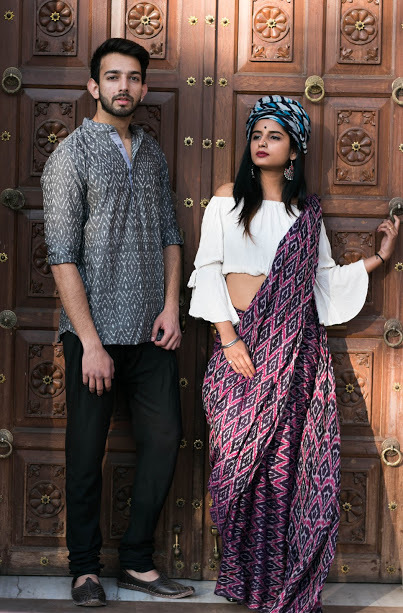 We focus on ethnic fabrics, weaves, embroidery, Indian attires of lesser known and undervalued rural traditions inspire them,” says Ursala Jung, Founder, Sihali Jageer. So get ready to embrace the summer and beat the heat with some cool apparel. Try not to expose your skin too much in the sun. Carry a stole preferably linen, mul cotton, or light silks like Chanderi or Tussar, whenever you step out in the heat. Go for summer and skin-friendly fabrics as against the usual, chemically-dyed polyester based fabrics. Fabrics like Cotton, Khadi, Linen, Mul, Chanderi Silk, Rayon are some the best options to beat the summer heat. Go for pastels and light summery shades as against their darker counterparts. Avoid synthetics as much as you can.